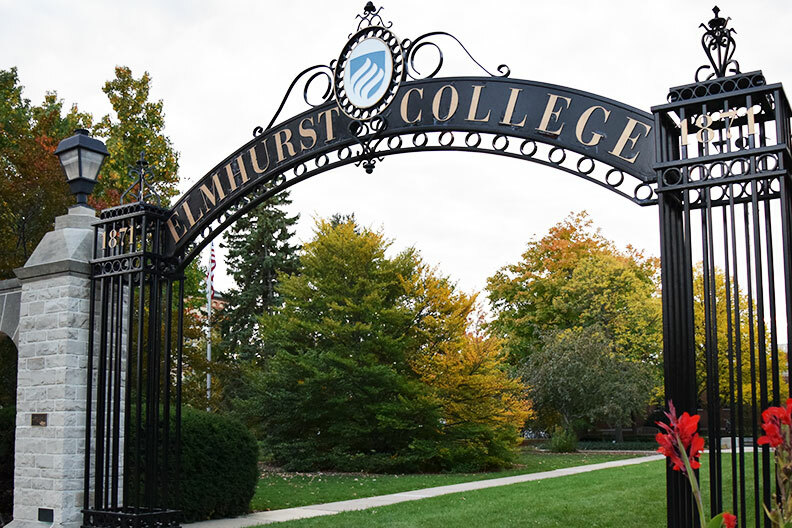 The Elmhurst Cool Cities Coalition and Elmhurst College will host an evening walking tour of the Elmhurst College arboretum campus on Thursday, June 14. A living museum of almost 900 trees representing more than 160 species, the Arboretum encompasses Elmhurst College’s entire 48-acre campus and has won Level II Accreditation from the Morton Register of Arboreta and Tree Campus USA® designation from the Arbor Day Foundation. A slice of the Memorial Elm that stood on campus since the time of Lincoln’s second inauguration. Mulch beds around many trees that extend to the edge of the leaf canopy, or drip line. This practice mimics the forest floor and reduces the competition between the roots of trees and grass, promoting the health of both. The Elmhurst Cool Cities Coalition asks tour guests to reserve their places at ecoolcities@gmail.com or by calling (630) 426-9789. The tour begins at 6:30 p.m. on Thursday, June 14, at Kranz Forum, east of the Frick Center.